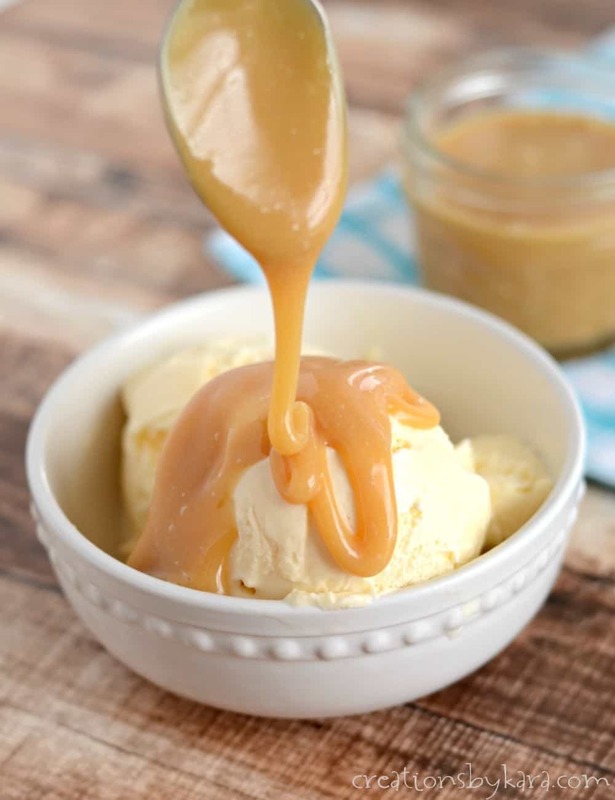 Homemade Caramel Sauce – this smooth and creamy caramel sauce is perfect with ice cream, apples, or even cheesecake! At my house, we love pouring this caramel sauce over frozen caramel torte, caramel turtle cheesecake, and cinnamon ice cream. When I was in high school, there was an ice cream parlor called Leatherby’s a few minutes from my house that I would often visit with friends. They served a killer turkey sandwich, and the BEST caramel sundaes. The caramel sauce was made from scratch, and it was my absolute favorite. When I went away to college I would dream about that caramel sauce! Any time I came home I would try to fit a visit to Leatherby’s into my schedule so I could get my fix. 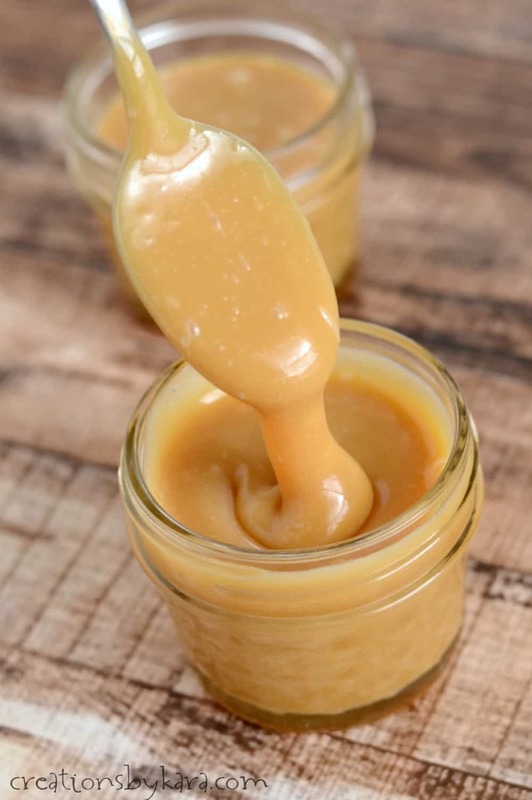 It took me two decades, but I finally found a caramel sauce recipe that tastes just like I remember, and I am in heaven! You will be too if you make this stuff. It’s phenomenal! The recipe is pretty simple, and you don’t even need a candy thermometer. Just cook and stir the sauce over medium heat till it’s as thick as you like it. If you’re the type that loves using a thermometer, cook the sauce till almost to soft ball stage. It does require a bit of stirring, so be prepared for that. You can use a spoon or silicone spatula, but I happen to love this whisk. It does a great job of getting into the edges of the saucepan! Q: How should I store the caramel sauce? 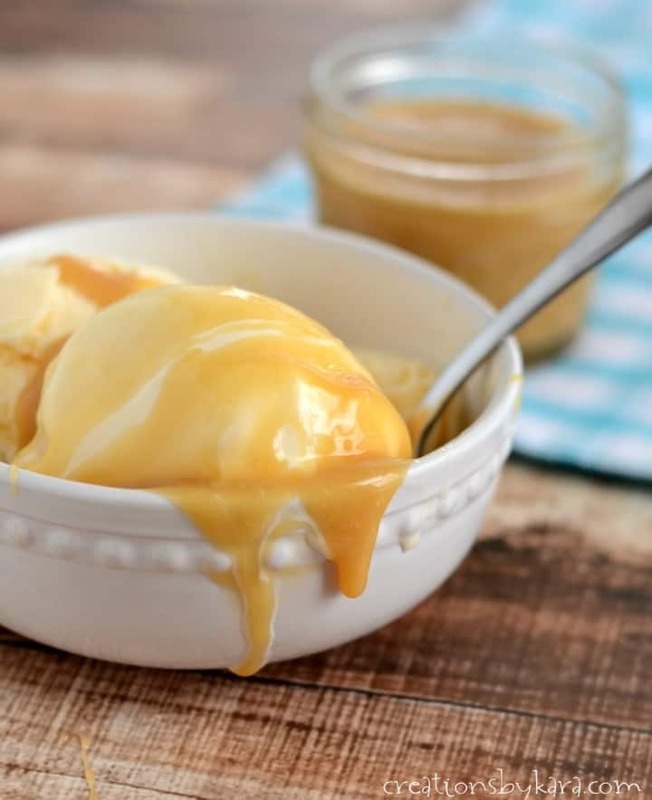 A: Leftover caramel sauce should be stored covered in the refrigerator. I like to store mine in mason jars with plastic lids. Q: Can I use cream instead of evaporated milk? A: Yes, light cream is an acceptable substitute. It actually makes a richer sauce, but I prefer the evaporated milk because it tastes more like the sauce I remember. Q: Can I use dark brown sugar instead of light brown sugar? A: Yes, that is just a matter of preference. It will taste slightly different and may turn out a little darker, but that’s fine. Q: What can I use in place of corn syrup? A: I’ve never tried a substitute, but I’d imagine that honey or agave nectar would work. Honey would definitely change the flavor though. What can I serve with my homemade caramel sauce? This caramel is smooth, rich, and basically perfect. We of course love it over ice cream, but it is also fantastic served with sliced apples or drizzled over cake or cheesecake. Or you can just eat it by the spoonful. I won’t judge. Rich and creamy homemade caramel sauce - perfect for topping ice cream! Combine brown sugar, sugar, corn syrup, butter, and evaporated milk in a heavy saucepan. Bring to a boil over medium heat. Boil, stirring constantly, for 15-20 minutes or till mixture thickens. I like mine pretty thick (almost to a soft ball stage if you want to use a thermometer). Remove from heat and stir in vanilla and salt. Sauce will thicken as it cools. Serve warm over ice cream. *If your heat is set too high, the sauce may appear curdled. If this happens, just let it cool a little, then pour it into a blender and blend till smooth. Works like a charm. 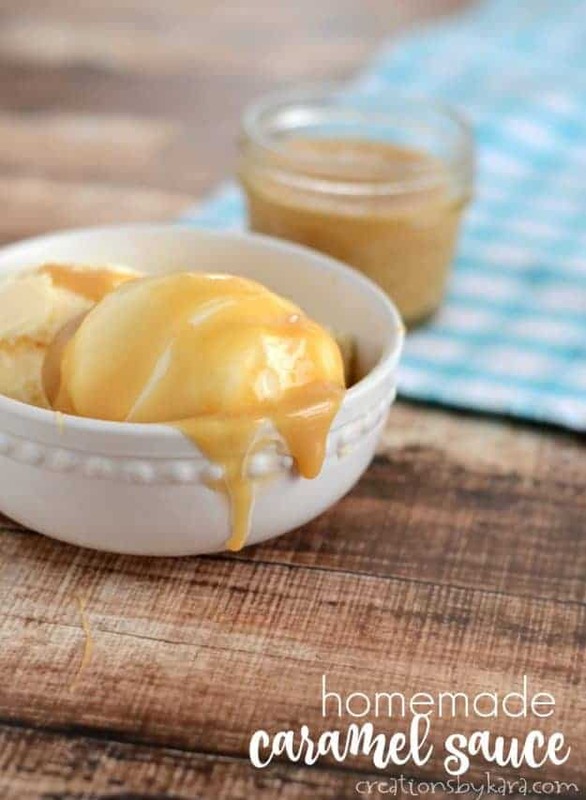 It’s National Caramel Day today, so you have the perfect excuse to make this caramel sauce! 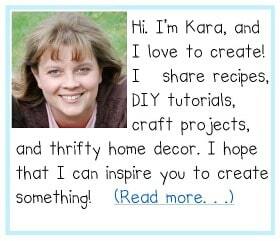 And of course I’m teaming up with some other talented bloggers to bring you even more unbelievable caramel recipes. Prepare to drool! Can dark brown sugar be used ? That is just a matter of taste, so yes, you can use it. It won’t be exactly the same, but it should be pretty close. Great memories of Leatherby’s in Sacramento! I loved their marshmallow sauce! I’m excited to try this! I just made this and it tastes great. I put the Caramel in pint canning jars with lids then topped with 2 green apples and am giving it as gifts. Yuppy! I love that idea! Such a fun gift! Can this be out of the fridge for a few days? I’m wondering about sending it in a care package in a canning jar. I’ve never left mine out of the fridge for more than a few hours. I don’t like to take chances with anything that contains milk. This looks amazing and I want to make it tonight, but somehow I have only heavy cream and no evaporated milk which never happens. Could I substite? Or should I make a trip to the store? I just saw your message, so I’m not much help. Sorry. My guess would be that cream would work fine. Did you try it? If so, how did it turn out? Hi, I don’t know what i did wrong but mine turned out sugary. Any way to fix it? PS I have not sent this before. I’m not sure what happened, but I would guess that maybe you just didn’t cook it long enough to melt the sugars. I’d try heating it up again to see if it will melt. You can add a little more evaporated milk or cream if you need to. This looks so good. Is it possible to process in jars in a bath canner? This would be great tucked in a gift basket but would want the jar sealed. I’m not sure there are leatherbys everywhere but I lived in Fairfield, Ca, and grew up with a leatherbys that had amazing caramel sundaes! Thanks for sharing thisnill he making it tonight! Nice , im going to try it…im a newbie all the way from Johannesburg South Africa! This looks so good! How do you store it and how long does it keep for? I store it covered in the fridge. I think it would keep for a few weeks, but I’m not sure because mine never lasts that long. Homemade caramel sauce is the BEST!!! and so much easier than people think! so worth it! Oh yes. The stuff from a jar just doesn’t compare! 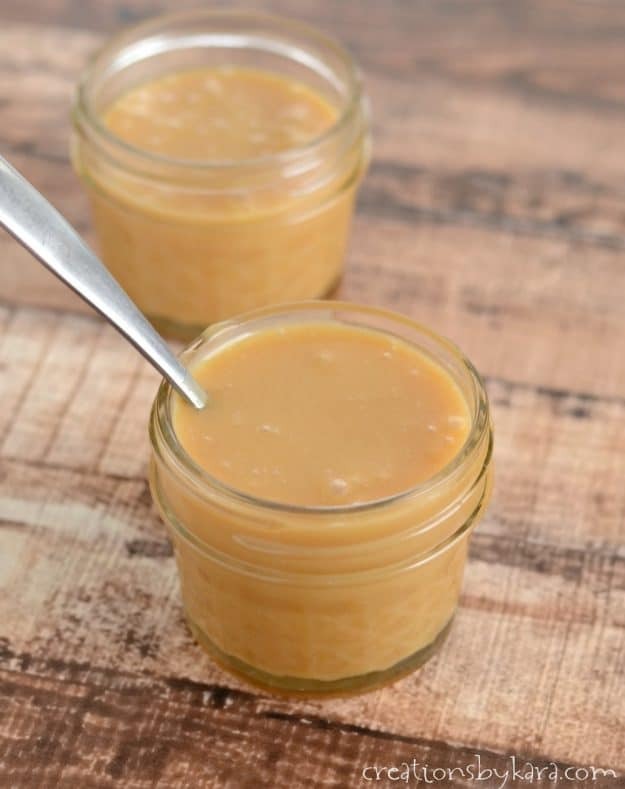 Caramel sauce is like sunscreen…it should be applied liberally! Ha! I crack myself up. Love this!